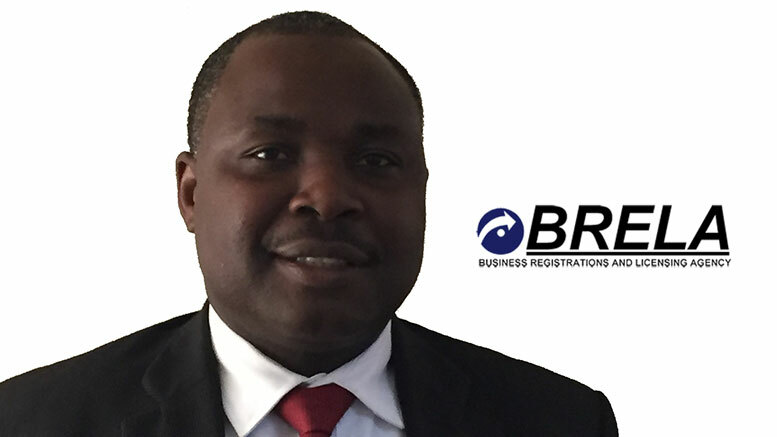 TanzaniaInvest interviewed Frank Kanyusi, CEO of Business Registrations and Licensing Agency (BRELA). BRELA is mandated to issue industrial licenses, register companies, business names and intellectual property rights such as patents of inventions, industrial designs, trade and service marks. TanzaniaInvest (TI): What is the current level of perception of these issues by the Tanzania public? Frank Kanyusi (FK): To a large extent the Tanzania public is aware of the initial processes of establishing companies and business names although they lack awareness on the part of post registration activities such as timely filing of annual returns and proper filing of different changes undertaken by the companies in the lifetime of the companies. On the part of intellectual property, public awareness is still minimal to the creators, inventors and users of Intellectual Property assets. TI: Most of Tanzanians small/micro business remains unincorporated. Can you explain the advantages of registering as a formal business, with BRELA? FK: First, it has to be noted that once the company is incorporated it does not start the business on the spot, it has to obtain other clearances from the Tanzania Revenue Authority (TRA), Business Licensing authorities and Regulatory authorities, if required. Formalization of a business is like a big set with several subsets within it, registration of company/business name being one of them. One of the advantages is to give an identity to your business. Formal firms have better access to credit and markets, all of which may in turn have a positive impact on the entity’s profit and national economy at large. It also assists the central government and local government to know entities and firms which are in formal sector especially when planning. TI: According to the latest Doing Business ranking by WB, Tanzania has improved one position between 2015 and 2016 to rank 139th. However, in relation to starting a Business it has worsened from 122th to 129th. Looking in details, BRELA, the first step, takes only one day. How easy it is registering with BRELA? FK: It is nowadays easy compared to previous days. Some of the services like name clearance for both Limited companies and Business Names are provided online together with the forms. Investors can liaise directly with BRELA without requiring assistance of Middle-men or Agents. And most of the payments now are done online through mobile phones and electronic banking transactions. Moreover TRA has opened up a window at BRELA offices whereby company TIN numbers can now be obtained at BRELA soon after registration of a company. It is my belief that automation of processes, online service provision and electronic integration among the key players, particularly Government institutions responsible for starting up business, can further ease and improve the process of setting up business in Tanzania. TI: Can investors liaise directly with BRELA or do they require the assistance of corporate lawyers or service providers? FK: Investors can liaise directly with BRELA, however in preparation of documents they either do it themselves if they have the knowledge or require the assistance of professionals. TI: What needs yet to be streamlined to fasten and further ease the process of setting up a business in Tanzania? FK: In order to further ease the process of setting up a business in Tanzania, relevant laws and regulations need to be amended to incorporate the requirements for online registration also to facilitate submission of documents for formalization of businesses at one point. Currently, in order to start a business one is required to visit a number of institutions to obtain necessary documents. TI: Large investors are usually catered by Tanzania’s investment authorities, the Tanzania Investment Centre (TIC) and the Export Processing Zones Authority (EPZA). How do you ensure effective liaison with TIC and EPZA? FK: First of all the Authorities you have mentioned are both under the same Ministry, which is the Ministry of Industry, Trade and Investment. Secondly, BRELA has an officer who is stationed as a liaison officer at TIC. These facts make it very easy when it comes to the issues of communication and coordination. Moreover, with the introduction of the online registration system all these institutions will be linked hence liaison will be enhanced. TI: Foreign businesses entering Tanzania have the option to incorporate a subsidiary or register as a branch. Which option is best? FK: To me both options can work. It depends on the choice and interest of the concerned person after exploiting the pros and cons of each. TI: Tanzania’s GDP is growing consistently at 7%. What is your strategy to ensure that BRELA becomes synonym of doing business in the country? FK: Our vision is to be world class customer focused business regulatory and facilitatory Agency; so one of our strategies is to make sure that we apply current and modern ways of serving our customers to make sure that they get quality, quick and timely services. This can, for example, be achieved by the provision of all our services online, a dream that we have started to work on it. Another strategy is to propose legal and regulatory framework review to suit the reforms and initiatives that the Agency is undertaking and also to eliminate the current bureaucracy in formalization of a business in the country.